The threat to the constitution that Donald Trump poses was apparent as soon as he entered the presidential primary race. Since his election, Trump has only confirmed that threat: he has abused emergency powers and other executive privileges to advance his private interests and illiberal, antidemocratic values. Despite incessantly broadcasting his intentions to abuse his powers in those ways, his actions have remained arguably within the limits of legality. The most recent example is his declaration of a national emergency to build a border wall. Other examples include the executive order for a travel ban, making personal loyalty a prerequisite to appointment, directing subordinates to grant security clearances to figures who compromise national security, ordering the Justice Department both to bar mergers that financially disadvantage friends and to investigate opponents, and threatening to use presidential pardons as a blank check for his associates and himself to commit federal crimes and perhaps even treason. He has also used the presidency as a platform to condone illiberal and antidemocratic values, including authoritarianism, human rights abuses, racism, and white nationalism. Emergency powers allow their possessor to circumvent limits on the use of state power in order to respond to an immediate danger to the state and its citizens. Yet these limits on the use of state power — such as individual rights, the separation of powers, and democratic oversight — are also the basic values of liberal democracy. So, although genuine emergencies do arise and emergency powers are considered reasonable and constitutionally necessary in the right circumstances, they obviously exist in tension with liberal democracy. They should only be used with fear and trembling. Even with reservation and the best of intentions, emergency powers legally upset the state’s basic commitments and laws, if only temporarily. In the hands of an enemy of liberal democracy, however, these powers could be used to subvert commitments to individual rights, the separation of powers, and democracy itself. As long as one accepts that emergency powers are necessary, it makes sense to raise questions about how best to prevent their abuse. One such question is: when faced with an elected leader whose values and political goals are opposed to the basic values of liberal democracy, would it be unconstitutional to grant them the political premium of the legal possession of power, including emergency powers, to exercise at their discretion? This question was raised by the notorious state and constitutional theorist Carl Schmitt. Although aspects of Schmitt’s life — such as his later endorsement of the Nazi state and its values — are unforgivable, his ideas can help solve pressing problems facing liberal democratic states today, such as the abuse of emergency powers. In 1932, Schmitt argued that neither the Communists nor the Nazis should be permitted to hold office because they opposed the basic commitments of the liberal democratic Weimar Constitution. Their goal in running for office, which they expressed openly, was to legally revolutionize the Constitution. Both parties hoped to gain a majority in parliament large enough to use the article for constitutional amendment to write the Weimar Constitution out of existence. But Schmitt cautioned that — failing to obtain sufficient votes for amendment — the political premiums of the legal possession of power could be enough for a Nazi or Communist Chancellor to revolutionize the Constitution in practice. In fact, once appointed Chancellor, Hitler’s Nazi revolution basically left the Weimar Constitution intact. Hitler was able to accomplish this feat in part because state power was simply handed over to him in 1933 as the leader of the largest democratically elected party in parliament. When the Reichstag was burned four weeks later, the actual cause of the fire was less significant, Schmitt argues, than who possessed the legal power to exploit the situation as an emergency. Chancellor Hitler immediately did so, using it to consolidate his power and begin revolutionizing the Weimar Constitution in practice. Emergencies are an urgent, existential threat to the basic structure of the state and constitution that cannot be anticipated. 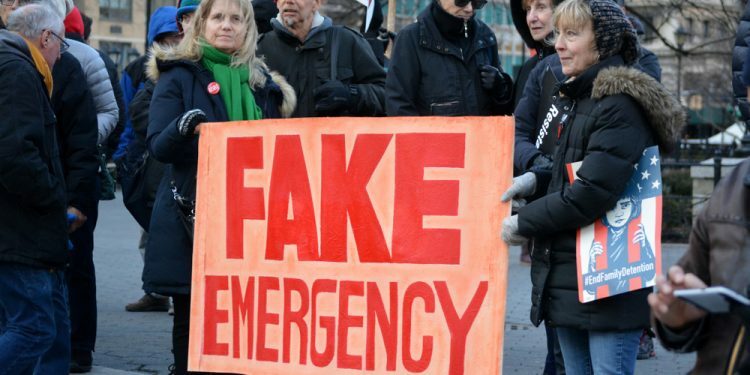 To address these existentially pressing but unanticipated events, emergency powers rest on broad discretionary phrases like “danger” or “threat,” “necessary measures,” and “public security and order.” The meaning of these phrases cannot be clearly determined in advance without risking excluding genuinely unanticipated emergencies. 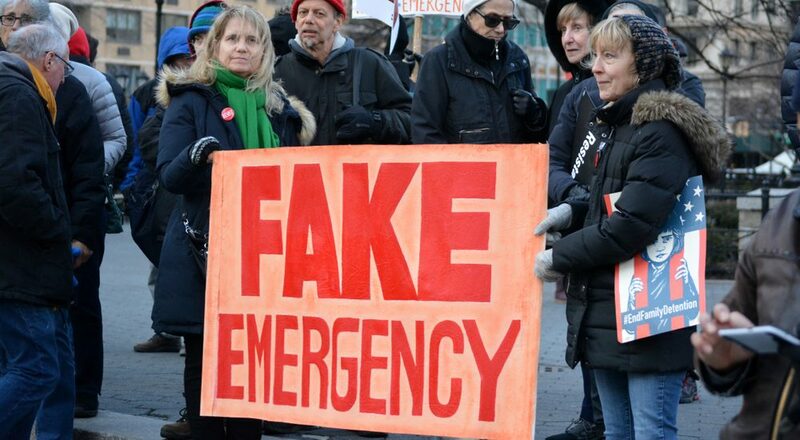 The decision on whether there is a genuine emergency depends on a practical judgment of whether this particular concrete situation falls under the abstract concept “emergency.” In addition, constitutions do not provide much guidance on how to resolve concrete emergencies. Because crises are temporally and existentially urgent, the judgment of the more efficient (faster) decision-making authority — the executive — is privileged and legally stipulated in advance. In a declared crisis, the legal holder of emergency power is presumed to be correct in their judgment. Executive decrees, ordinances, and directives occur immediately and are directly enforceable. The executive has the legal right to deploy the army and police, among others, to respond to perceived emergencies. Any legislative challenges or judicial reviews, on the other hand, would occur in reaction to already executed directives. Although emergency actions could be overturned legally, the order to do so would come after irreversible real events have already begun. Oversight may not halt or undo the immediate, real-world consequences of the abuse of this legal power. Combined, Schmitt argues, these three factors — the nature of legal discretionary concepts related to emergencies, the presumed lawfulness of power holders, and the direct enforceability of those decisions — create a serious constitutional danger. A legally elected executive acting in bad faith can abuse constitutionally-granted powers to destroy the state and constitution from within. Worse, this substantive abuse of power would have the veneer of formal legality and constitutionality. Questioning the constitutionality of using legal powers to undermine the state and constitution, Schmitt believed, rested on a debate about the nature of the constitution. Is the constitution merely the sum of its parts, the positive laws written in the document “constitution”? Or is it something more? That is, does the written constitution rest on super-legal value commitments — such as liberalism’s commitment to a separation of powers and basic rights protections of individuals and democracy’s commitment to its electoral process? The dangers of handing a bad faith actor the political premium of the legal possession of state power brings this tension between formal legality and substantive legitimacy into sharp relief. If the executive does not violate any written laws while undermining constitutional commitments, can one nevertheless declare it unconstitutional and take legal action against it? From the perspective of positive legality, it is difficult to argue that the executive does not have the right to exercise its constitutionally-granted powers — including using emergency powers to advance an illiberal, antidemocratic agenda — as long as legal procedures are observed. But Schmitt’s antipositivism, which I discuss in my recent book, offered him a theoretical basis to argue that there is something unconstitutional about this scenario. Appointing an executive whose expressed political goals and actions were to overturn the basic, super-legal commitments of the state and constitution would be unconstitutional. It would not matter whether the executive stayed within the bounds of the law. In the context of the Weimar Republic, this meant it was unconstitutional to grant state power to an illiberal antidemocratic figure. Accordingly, it was constitutional to bar such figures from the highest state offices — even if they formally qualified to hold them, such as by winning a majority in a fair democratic election. Accordingly, Schmitt argued, it is imperative for other state offices to exercise their legal powers and guard these basic constitutional commitments. Schmitt’s concern about constitutionality and the nature of the law are as valid today as they were in Weimar. Trump’s executive actions, like the declaration of a national emergency, rest on powers granted to the U.S. President by the positive constitutional order. Yet those acts seem clearly inconsistent with the substantive values of the U.S. Constitution. But to oppose the positive constitutional order and the substantive commitments upon which it rests requires recognizing that the law extends beyond its positive form. This distinction matters. The actual limit of the constitutionally-granted powers of the President and the real guarantee against the abuse of power comes from the willingness of Congress to resist such abuses actively, using whatever legal and political tools it has. Through hand-wringing, equivocation, and other forms of inaction, a counter-power surrenders its ability to defend the constitution. In waiting for Trump to cross a red line legally, Congress relegates itself to an at best reactive role. For this reason, it seems imperative for Congress to begin the impeachment process to deny Trump further access to the political premium of the legal possession of power. The danger is that Congress — rendered impotent by party factionalism and the “legal-enough” quality of Trump’s actions — will not decide to do so. Some describe impeachment as a political decision. By “political” they mean it is a subjective decision, up to one’s party affiliation, idiosyncratic inclinations, or whatever. For that reason, they feel they can dismiss demands for it. This view is superficial. Schmitt’s perspective offers a basis to argue impeachment is political in a more meaningful sense. By looking beyond positive legality, we can raise a question with a more definitive answer: what is the legal possessor of power’s relationship to the commitments underlying the constitution? If the legal possessor of power demonstrates goals inimical to the basic commitments underlying the constitution prior to or after assuming office, then the political threshold for impeachment has been met. Their possession of that power is unconstitutional because they demonstrate no intention to uphold their oath to defend the constitution. Trump expresses his hostility to the U.S. Constitution with his systematic use of executive powers and privileges in the pursuit of goals antithetical to its basic commitments to liberalism and democracy. It is unconstitutional to continue to allow him to hold the political premium of the legal possession of power. Benjamin A. Schupmann is an Assistant Professor in the Division of Social Sciences at Duke Kunshan University. His research examines the relationship between the state, constitution, and liberal democracy. He is the author ofCarl Schmitt’s State and Constitutional Theory: A Critical Analysis (Oxford University Press, 2017). His next project will defend the legitimacy of constrained or militant democracy. What Makes Something a Robot?